The option of getting a fake ID just got a lot harder. 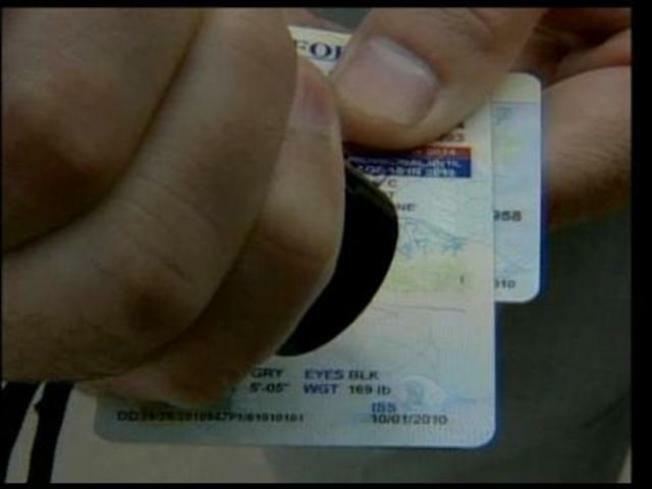 Have you seen the new driver's license the California Department of Motor Vehicles is giving to new drivers? It got a major makeover this year that screams "don't sell me alcohol." The license is vertical instead of horizontal and has the year the holder turns 21 in big and bold red. The date of birth is raised along the person's forehead resembling a mug shot in some ways. The signature is also raised and can be felt by touch, making the identification extremely hard to duplicate. The new look has been out since Oct. 6, but due to delays statewide with processing not many young people have them yet. The DMV is reporting waits of up to eight weeks before people can get their new license. A statewide hiring freeze and work furlough days are being blamed for the delay. Those of us who are of legal driving age will also notice a change or two the next time we get a new license. There are now three of those lovely photos on each card as well as a symbol only seen under black light. All of the changes are supposed to help with security. The DMV says if you properly applied for your renewal, your old license will work for law enforcement until the new one arrives. If you are flying, bring a passport.